Kickstarter project: we have achieved liftoff! 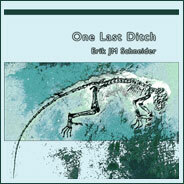 One Last Ditch: the movie.s. has been launched at Kickstarter! I have 45 days to reach my funding goal so that I can start making non-pixelated videos–or at least, when I want them to be non-pixelated–in October or so. Please go visit and please consider funding more poetry videos, for whatever reason compels you to support poetic and visual art. I have my own reasons, but they may not be yours: I am trying to find my own voice in order to speak up for life experiences that are not necessarily considered “normal” in American culture in the twenty first century. I know that hearing and seeing others who were considered freaks in their own milieux helped me to find reasons to stay alive when I was young and terribly unhappy, and although I do not propose to go into this to save lives, I do know the power of images and language when used well. I only hope to use them well and for the forces of life and the forces of love. If you wish to bookmark the page (but pledge soon, because 45 days is not as long as it sounds! ), use this url: http://www.tinyurl.com/onelastditch –it’s much easier to remember than the long Kickstarter url. I have been working on this drawing for a couple of days which I do not know if it really excuses me from not posting for two days but there it is. I have also been sleeping. I sometimes sleep for hours and days on end. This is page two which is really page one of the book I showed you page one of the other day (that page is really about page 9—I opened the book to a random page to start). With this one I took a very soft pencil and tried a few different ways of following the paper itself which I may have mentioned is a very coarse handmade paper and so it invites you to follow it, sometimes rather strongly and sometimes very subtly. I am still trying to write without writing anything but even this seems to suggest certain things to the pattern-seeking brain and so it may be that writing without writing about anything is something one cannot actually ever show to anyone else. This page I coated in acrylic sealer after I was finished writing so it is semi-translucent in spots. I ended up laminating it to the page underneath not accidentally but not with a great deal of aesthetic forethought. I think together they turned out fine but you cannot really tell that you can see through them on the scanner. this is the first page of a book that I am trying to dedicate to different forms of writing. that might not be apparent on first glance. it is completely abstract: mainly line, some color, no traces of letters but I started it out in pencil, following the contours of the very rough, handmade paper. this is not the first I have done this sort of drawing but it is the first time that I deliberately associated it with writing while making it. whether that makes it writing is not necessarily for me to say, but I was trying simply to write when I laid it out. other pages might come to contain that which is more recognizable as English or they might not; my only plan is to write, in one way or another, on each page subsequent to this one. that is all I am going to say for now, except that you can click on the image to display a larger version. we’ll see how the rest turn out if I can ever learn to do this sort of thing more quickly than one piece every two months. I swear I posted on the third, fourth and fifth–or was it the third, fifth and sixth?–I managed to miss a 24-hour day in there somewhere by living a 36-hour day which included staying up for 24 hours before taking a very long nap but um this is not my personal journal so I do not mean to be diarying here just explaining that see my web host was doing a migration and somewhere in the interstices between servers three of my posts for NaBloPoMo slipped away into dust or whatever it is that bits become when they cease to be. or, um, wherever they go when they all get zeroed out. I guess they resolve into non-difference then although I imagine it could be argued that the circuits in which the zeroed data used to exist still remain as heterogeneous surfaces or objects although I know it is not meant to be made of more than one or two things but still there is no such thing as repetition or there is no such thing as an identical instance of zero. mathematicians will argue with that but I am not meaning to look at zero as a defined entity or a defined non-entity but just an instance and instances never repeat although they do cycle through. the circle is a spiral but it is not headed anywhere. it does not spiral up, for instance. nor does it spiral down, left, right, south, north, east or west. I would say it spirals in place but spiraling instances do not stay in places. so it seems that my last two posts have disappeared from my database during a web host migration to a different server. I would go into some trouble to track down a backup but I think I can re-do them a little later but first I must post today’s piece. this started out as an unremarkable piece of ascii art which for just a moment became something kind of interesting but I ruined it and by that time I was out of undo’s and recreating it from scratch would have been a waste of time so I kept working at but it was unsalvageable once I passed a certain point so I finally deleted almost all of it and made this from the little bit I kept, which is not ascii art as it now contains utf-8 characters although that doesn’t matter since it isn’t text at this point. I am not yet certain if I like it or not or if it was successful in any way but I did try something completely absurd and ended up with something completely unrelated to my first idea and looking good enough that I dare to post it. it’s a bit minimalistic. it might help to download it and look at it against a darker background. perhaps I should have created a dark border for it. perhaps I will. not right now, though.